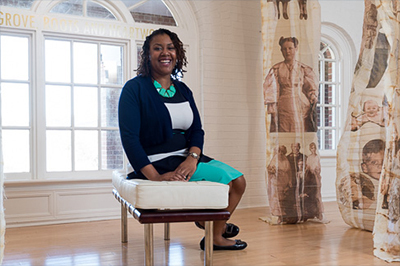 Tiffany Campbell ’13, ’15 M.Ed. discovered a world of ideas at UNCW, and now she is helping a new generation of Seahawks do the same through her work with the Upperman African American Cultural Center. 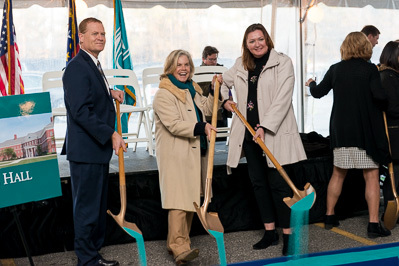 Facilities team members Mark Morgan, Lisa Seifert and Rachel Patrick raise their shovels at the groundbreaking ceremony for the new Veterans Hall at the Allied Health quad on Jan. 18. Video highlights of the event may be seen here.